We also offer a full Bespoke Service on every range. 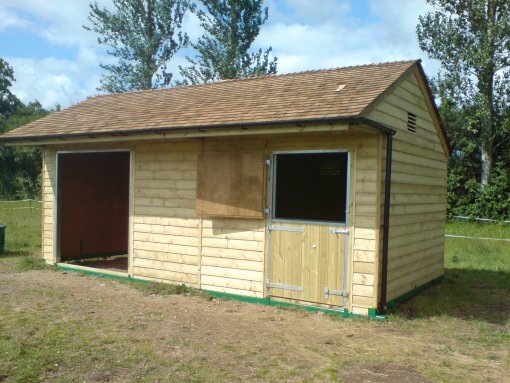 Here a Hunter Mobile Field Shelter has been supplied with an eaves height of 2.4m and a Cedar Shingle roof at the request of our client. Please contact our Sales Team on 01403-785508 or by email at enquiries@redmire.co.uk to discuss any ideas or requirements you may have.